These online guitar tools will help you tune your guitar, find the guitar chords, scales and arpeggios you need, learn to play in time and train your ears. Free online metronome for guitar. A download version of this metronome is also available for PC and Mac. 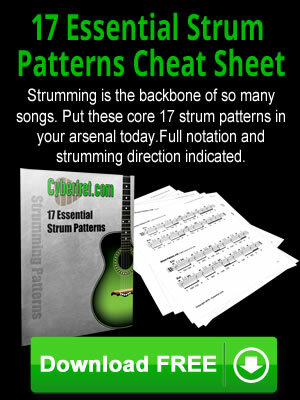 This online guitar chord finder will help you locate the guitar chords you need fast. 4 different neck perspectives, including for lefties. In this online guitar interval ear trainer you will put your ears to the test. This guitar ear training software is full of features. Using a timer is a great way to keep your guitar practice time focused and avoid drifting off into mindless noodling.